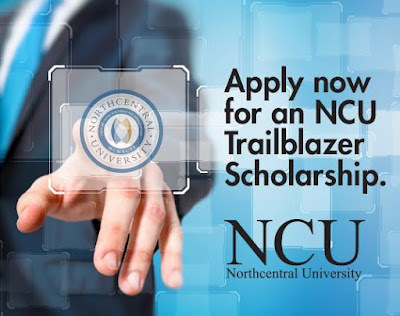 Northcentral University announces nine ‪Trailblazer ‪Scholarships‬ to new students and alumni who have applied to an NCU master’s or doctoral degree program by October 26, 2015. For each course taken and paid for by the recipient, NCU will provide their next course at no tuition cost, which equates to funding half of the student’s total graduate-level tuition. For all the details and to learn more about how you can win an NCU Trailblazer Scholarship and achieve your academic goals, visit http://ow.ly/S9cYS. Rio Salado Educator Preparation Programs are approved by the Arizona State Board of Education and Rio Salado College is accredited by the Higher Learning Commission.